Welcome to the leading resource where you can rent a car in Tivat, whose airport is the most popular arrival point of the country. 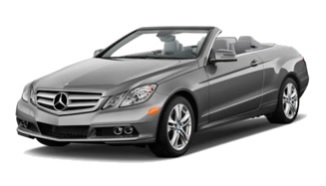 The site specializes in online car booking. 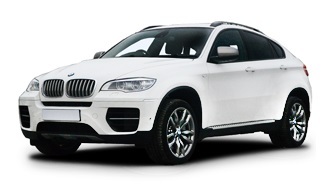 Here, you can consider advantageous options for car hire in Tivat airport. We offer you the services of more than 20 proven, local car rental companies. Thanks to special software, the site processes all current offers in real time. With us, you can compare the prices of car rental services in Tivat and Montenegro, and book the most suitable vehicle. Huge choice of cars, locations and agencies. Easy searching. Easy booking. We save your time, not just the money. The lowest price guaranteed ! Free booking cancellation (except 6% of advance payment – bank commission). 4 How to order a cheap car rental in Tivat and Montenegro using our service? 11 When and where is it best to rent a car in Tivat? 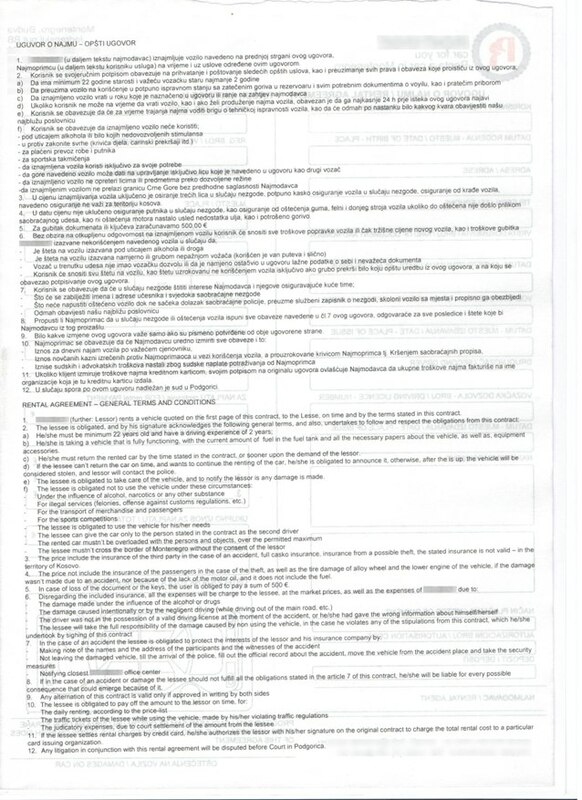 15 What documents are required for traveling outside Montenegro in a rented car? Those who travel by car in their own country also want to make their trips as independent and comfortable as possible outside of the country. If you are among those who are going to Montenegro and have an intention to rent a car in Tivat airport, then you have at least two options. The first one is to hire a car when arriving at the airport, at one of the international companies for car rental, like Hertz, Avis, Europcar, Sixt, Meridian, Enterprise, Surprice and others. However, note that searching a car will take your time and resource, in which you may be limited. And, also be prepared to block your credit card for a considerable amount as a deposit. 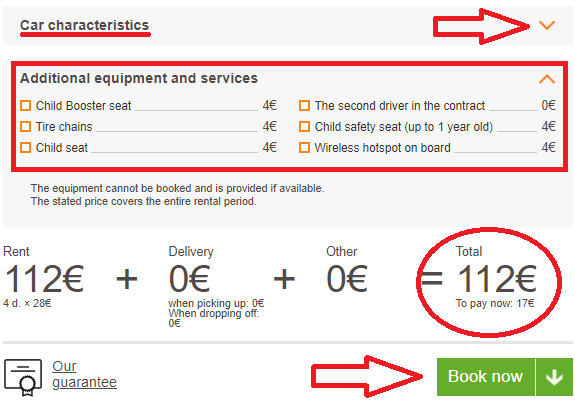 The second option is to use our service and book a car online in one of the local agencies in Montenegro. On this day, we are cooperating with 22 local, car rental companies. 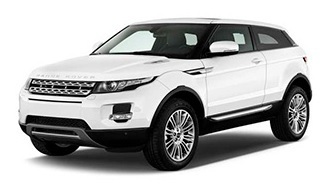 If you compare these two ways of car hire at Tivat airport, your decision will be very easy. Price: In case you choose our system, you can expect much lower prices. The main reason for this is a stiff competition among these 22 car rental agencies that participate in our booking system. Deposit: Instead of paying an abnormal deposit (from 700 euros) to international car rental companies, like Sixt, Hertz, Perfect, Europcar, check out our rates. Through our service, there are many affordable offers for car hire in Tivat (at the airport and town) without a deposit. Even if it is required, it is quite small. One more advantage: You have the opportunity to more thoroughly explore various options, and choose the optimal car from more than 800 units in the fleet. We give you a chance to make your travel as comfortable as possible. From the comprehensive list of additional options, you can choose the ones on which the convenience of your travel depends. 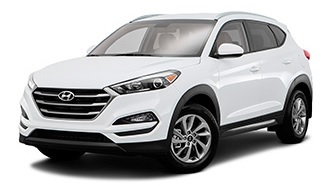 You can request a navigation device, a child seat, a Wi-Fi router, and much more in the vehicle. 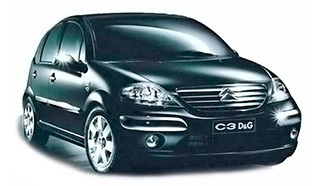 So, if you need a cheap car rental in Tivat (Montenegro), our website is a perfect choice. The service is designed for booking by both private and legal persons. Via our website, you can also find cheap car rental in Podgorica airport, in Budva, Becici, Przno, Prcanj, Perast, Risan and all other towns in Montenegro. The small area of Montenegro allows you to independently tour the whole of it during a short vacation. The neighborhood countries are Croatia, Serbia, Bosnia and Herzegovina, and Albania. So, you have an opportunity to visit them by car in addition to your vacation in Montenegro. Clear driving rules not differing from all-European ones. Good condition of Montenegrin roads. Plenty of natural and cultural attractions. Prices for car rental in Montenegro are lower than in other countries. 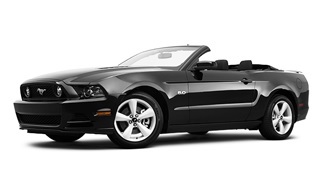 Small deposit or its absence, which makes the procedure for renting a car even easier. Relatively low cost of gasoline. The opportunity to save on accommodation by renting a hotel room or private apartments not right by the sea, but in areas that are on decant distance. No need for spending money on tours, thanks to which you will save part of the budget. The accuracy of selection: With our help, you get the opportunity to choose a specific car (from a minivan to an SUV) in accordance with the list of desired parameters. Saving money: Renting a car in Tivat (Montenegro) directly through our service will cost you less than when you do it through an international company, like Sixt, Europcar, or Budget. Service at a higher level: Each of our clients gets an individual approach and high-quality service from the staff. How to order a cheap car rental in Tivat and Montenegro using our service? 3) Call us via phone, Viber, or Whatsapp. A simple and understandable booking form allows each traveler to choose the most comfortable car, using literally every car parameter. In a special field, you can specify the city where you will pick up the car and the city of its return. Thanks to this option, you do not have to change the travel route to return the car to the same place where it was received. Just click the names of the cities that suit you, and they will be automatically highlighted in the required field. Please mark that, with us, you can also rent cars in Podgorica, Kotor, Ulcinj, Sutomore, Herceg Novi, Petrovac, Rafailovici, Sveti Stefan, Budva, and many other cities popular among tourists. The online booking form allows you to choose the start and end dates for the rental period. After clicking the relevant field, you will see a convenient calendar, where you can specify the desired dates. In the field “Gear Box,” you can choose mechanical or automatic transmission with one click of the mouse. An additional field with two check-boxes allows you to choose the shape of the car body (convertible or minivan). Just tick the box to specify the search. You can also choose a unique option “Rated”. 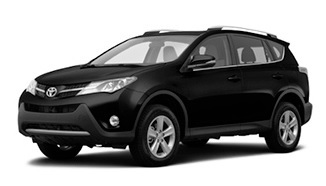 It allows you to book cars that have been checked by 22 parameters, by the company specialists. 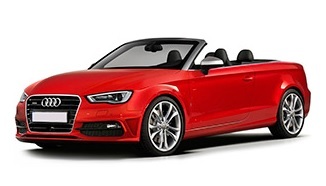 The “special” field allows you to rent a non-standard car; for example, a cabriolet, eco-friendly or discounted one. 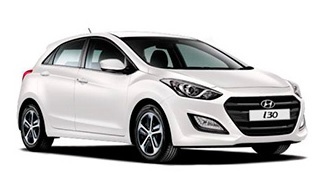 When you click on a car of your choice, you can see its year of manufacture, engine and vehicle specification. Also, you can see the cost of the deposit, car insurance, and the price for the green card. In the booking form, you can select additional equipment that you need for a comfortable trip. You can choose GPS-navigator, ski fasteners, baby seat, and much more. The system shows the total price of renting a car. It takes into account all the specified parameters, as well as the amount of the advance payment. After that, just click on the “Book now” button. Here, you can choose the exact place and time of car pick-up and drop-off. Just fill in all driver’s information. Click the “Pay now” button. 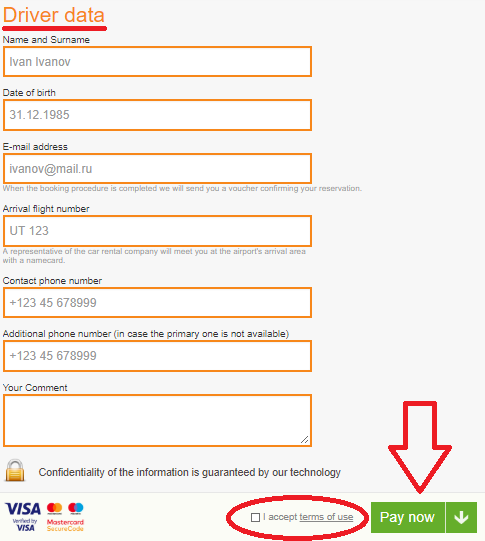 After making the advance payment (15-20%), you will receive a voucher on your e-mail. It confirms your car reservation. The last step is to pay the remaining amount minus the advance payment made earlier. You will do that during the car pick up. As a result of such simple actions, you will get the desired car for traveling via Tivat and Montenegro. The car rental agreement is made in two languages – Montenegrin and English – by filling the standard forms with unique numbers as certified by the authorities. The document must contain information about the renter, car, period, and the price of the rent. If you wish, you can share your right for driving the car with another person, whose data the manager will put in the document. If you plan to travel outside Montenegro, you must report that to the manager during the agreement conclusion. After that the manager will put the necessary markings on it. 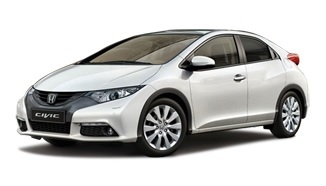 Our service provides several options for convenient car hire. A personal manager of a car rental service is ready to meet you at Tivat airport (with a sign) immediately upon your arrival in Montenegro. For this, you just need to indicate information about your arrival, during the car booking. Signing a car rental agreement, in this case, is exactly the same as at the office. Those who wish to rent a car with delivery to the city of Tivat can also contact us. As a landmark for the delivery/reception of the car, you can select one of the next places: a bus station, a gas station, a hotel, a restaurant, etc. National driving license: The ordinary driving license of any type is suitable, both plastic and laminated paper, valid on the territory of the country that issued it. An international driver’s license is not required. Passport: You should present the valid passport of the person who will sign the rental agreement. Car rental voucher: You receive that document at your e-mail after paying the advance payment. The required amount of money (cash): The amount should be sufficient to pay the rest of a car price and to pay the deposit, in case that it exists. Inspect the car: To avoid complaints when returning the car, you should start with a visual inspection of the condition of the vehicle. If you find any damage, enter them into the car inspection card. Ideally, it is recommended to make a photo or video recording of the car and the fuel level in the tank. Sign the agreement: This document is necessary for driving the car, so it should clearly indicate all the data about the driver(s) and route of car using. Pay the rest of the sum and get the keys of the rented car: After paying the remaining amount in cash, you will get the keys of the desired car right at the airport, or the car will be delivered to you in the city of Tivat. You can obtain more information about the quality of our service by reading our customers’ opinions in the section “reviews of car hire in Tivat airport“. You can also share your impressions by writing your own review. When and where is it best to rent a car in Tivat? If you intend to go to Montenegro and, in particular, plan to rent a car in Tivat, reviews from regular customers of the service suggest that it is best to book the car in advance. It is especially recommended for trips during the summer season when large numbers of tourists arrive, and the most popular rental cars are already reserved. No matter if you plan to go to Budva, Becici, Rafailovici, Bar or any other town in Montenegro, we suggest you to order a car rental in Tivat airport. In this way you will save your money for the airport transfer. In case you rent a car in Montenegro long before the trip, and something goes wrong with the car, you will receive another vehicle instead of the previous one at the same price, even if its class is higher. 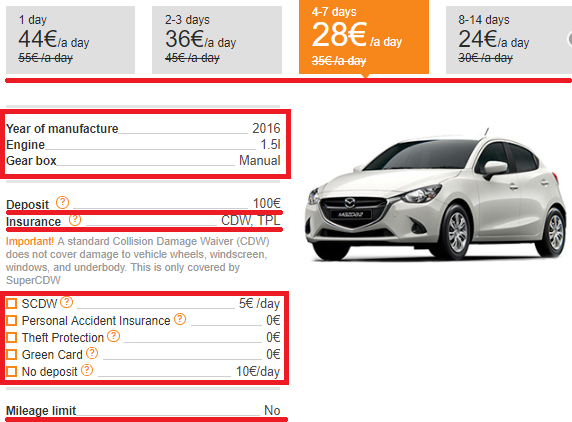 The price of car rental in Tivat and Montenegro, as a rule, already includes MTPL insurance. CASCO and Super CASCO are additional services, but some companies provide CASCO for free. It is better to clarify this with the manager, as well as the existence of a franchise (the amount that the renter of the car pays if the car is damaged) and its amount. During the signing CASCO insurance, you may be required to make a deposit, which represents the franchise. The insurance is valid only if there is a copy of the accident record. The original of the record is drawn up in the event of an accident by police officers, who must be called, even if the participant of the accident is only the car you rented. Of course, the service of providing a car with a personal driver is very convenient. At this stage, our online car booking form does not provide that service. However, managers of rental companies can help you in resolving this issue. Especially for those who do not have a driver’s license, but who want to travel around the country by car, there is an option “car rental in Tivat with a driver”. This service is available through the other online booking system, called “Sit and go”. 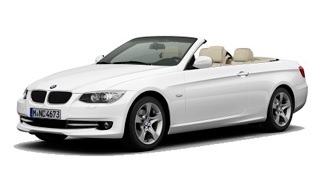 For sophisticated clients who prefer effective riding “with the wind,” who are boring to move in conventional cars, we can offer the cheapest convertible car rental at Tivat airport. Driving a car without a top will make your trip even more impressive and will certainly cheer you up, turning into real fun and amusement. A comfortable sea climate, beautiful landscapes, moderate driving speed – all these factors invite you to ride in Montenegro in a convertible. 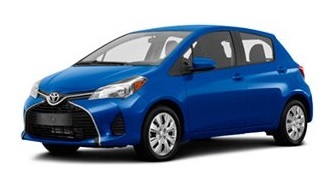 At the same time, the cost of renting such a car is not much higher than the cost of renting an ordinary economy car. 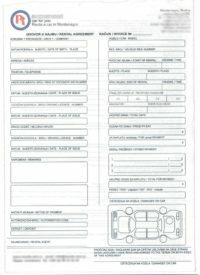 What documents are required for traveling outside Montenegro in a rented car? The green card: About this kind of international insurance, you need to ask the manager as early as at the stage of signing the rental agreement. 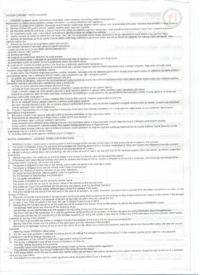 Car rental agreement with a mark of going outside Montenegro: The corresponding mark in the document is made by the manager when signing up the agreement. 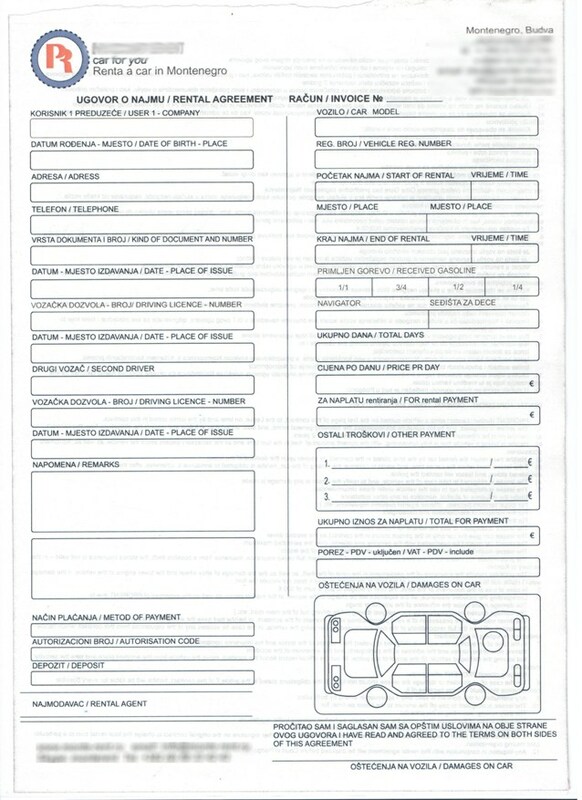 Technical passport for the car: It is provided to the renter with the car keys. Passports of people who go outside: First, you need to find out whether a visa is required for a particular country, which depends on the nationality of the citizens entering it, the season of the year, etc. Roads are free throw all of Montenegro, except tunnel Sozina and ferry across Boka Kotorska. The fee for passage through the Sozina tunnel located between Podgorica and the Adriatic coast is 2.5 euros. The cost of using a ferry across Boka Kotorska is 4.5 euros. Among parking lots, both in Tivat and throughout Montenegro, paid parking is prevalent. The cost is on average about 1 euro/hour. Paying for car parking, as well as for the traffic penalty, is the renter’s responsibility. If there is a gate at the entrance to the parking lot, the payment for the time of using it is made when departing. If you want to park a car on the street, you can do that in areas specially designated for parking. For this purpose, you need to pre-purchase parking tickets through a vending machine or at the newsstand near. Put that ticket under the windshield of the car.